Insurance companies are confronted with a growing number of complex and always-changing regulations established by federal agencies or an individual state’s Department of Insurance; many of these rules relate to the monitoring, tracking and reporting of policyholder information on a timely basis. 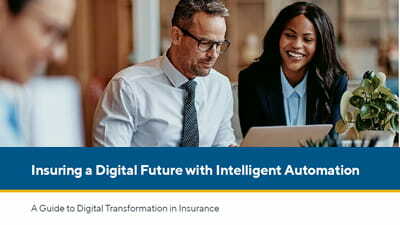 Most legacy systems were not built to adapt to these types of frequent changes, but the costs of failure to comply are real: Billions of dollars in fines have been levied against insurers in recent years. Ensure the consistent application of business rules and regulatory compliance standards through an integrated process automation solution. Automatically acquire, enhance and deliver the precise data required from any internal or external source. You will save your organization time and money by avoiding repetitive tracking and reporting activities, and reduce your risk of noncompliance fines. Deliver data to risk management teams via dashboards, databases, spreadsheets and reporting applications in any format. Integrate the data required in a timely manner, eliminating delays and reducing the risk of fines for non-compliance. Automatically extract data from the web and internal sources, and deliver to a variety of compliance reporting tools. Pre-define the data required by law, when and how to collect it, and where to deliver it. The content we create needs to be consistent and accurate – even the slightest mistakes can have big repercussions. 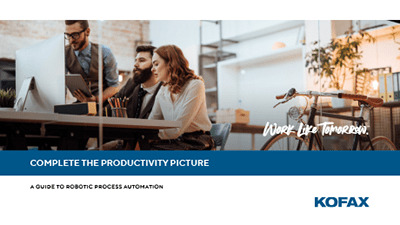 The automation provided by Kofax Customer Communications Manager helps ensure that our documents are accurate, which reduces business risk and gives us great peace of mind. When you automate the acquisition, enhancement and delivery of required data from internal and external sources, you save your organization time and money by avoiding tedious and repetitive tracking and reporting activities.